Located a short walk from Lorrha Village, County Tipperary, The Courthouse is part of the award-winning Coach House Cottages. The property has one bedroom and is equipped for three people. It is near many outdoor pursuits and attractions. A property of the award-winning Coach House Cottages, The Courthouse was originally built about 1831 as a courthouse for Lorrha Village, County Tipperary. It is one of two high-quality and attractive cottages at this location, making it ideal for couples holidaying together. 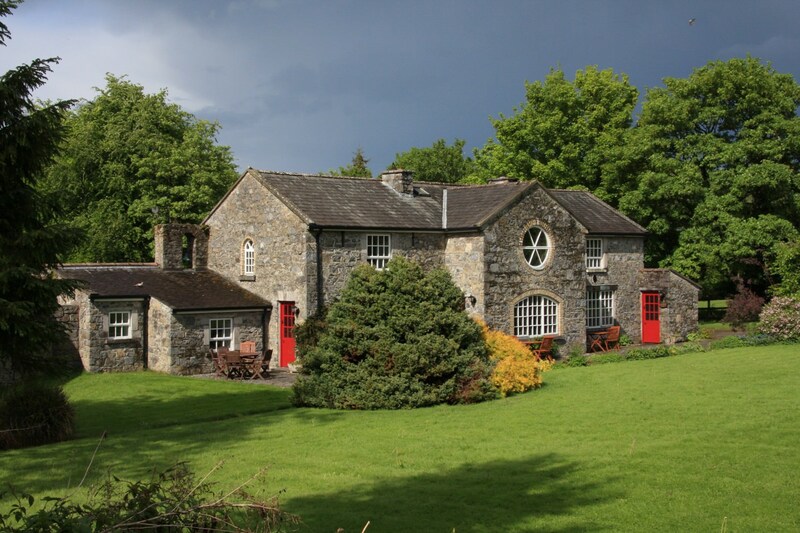 The cottage is situated a short walk from the village centre and opposite St Ruadhan’s Abbey. The Courthouse was recently renovated to a high standard, retaining the original façade with both doors. It has a kitchen/living room with solid fuel stove. It features one bedroom with double bed and space for a folding bed or cot, bathroom ensuite with shower over bath, WC and wash basin. Outside there is a seating area and garden with barbecue available, perfect for a relaxed outdoor meal or a drink in the evening. Guests also have the use of a rowing boat on the nearby Friars Lough and bicycles, subject to availability. There are many pursuits in the countryside around the cottage, such as bird watching, photography, cycling and walking. Portumna Forest Park, which is a 10-minute drive away, has 50km of walking and cycling trails. Excellent looped trails are also available in the Slieve Bloom Mountains, which are within easy reach. Horse riding and pony trekking can be enjoyed nearby and for golfers there are several superb courses in the area. Lough Derg offers opportunities for a wide variety of water sports, and fishing (both lake and river) is close by. Detailed maps on walking trails in the region can be supplied.